According to several industry sources, the small- and mid-size manufacturing sector in the U.S. is beginning to show some solid signs of growth. And as manufacturers invest in new equipment, and the trend continues to return overseas production to the U.S., all indications are strong for job shop software to continue to play a bigger role in automating business processes here in the States. 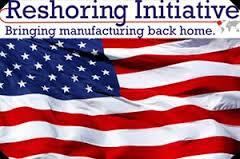 The American manufacturing homecoming is one of the good signs for U.S. job shops. Several factors are pointing to a sunny forecast for American manufacturing. Recent good news about capital spending projections in the small- and mid-sized manufacturing sector, a positive reports and good vibrations at the job shop industry’s premier educational and trade conference, and a general trend toward “reshoring” by American manufacturers are all positive signals for job shops. Two key industry sources, Gardner Research and the Fabricators and Manufacturers Association (FMA), predict a dramatic increase in job shop equipment purchases. Gardner, which publishes many of the key journals serving manufacturing industries, says manufacturers expect their capacity utilization to increase, which in turn spurs more machine tool sales. The Gardner Capital Spending Survey and Forecast predicts an estimated $7.5 billion in metalcutting equipment spending in 2014. Reports about equipment purchases and operating capacities are accompanied by new orders, more attractive commodity pricing, and logistics options – all instilling confidence in the market. FMA economic analyst Chris Kuehl noted that job shops are traditionally very conservative in their spending, and they typically need “solid reason” to invest. Another good sign in my opinion is our experience at the recent FABTECH conference. The largest metal forming, fabricating, welding and finishing event in North America, FABTECH is a good barometer to gauge the health of the job shop industry. Conference organizers said they set records for numbers of attendees and exhibitors, and based on the activity at the Shoptech E2 booth, the show was an overwhelming success for us as well. Panelists at the conference’s state of the industry executive roundtable cited a more competitive industry that resulted from the 2009 economic downturn as the catalyst for the upward trend. Access to a skilled labor force and continued ‘shortening’ of the supply chain (as a result of reshoring) are keys to keeping the industry healthy. Between the traffic in our booth, the consensus at conference roundtable discussions, and the general buzz, this important conference reflects a manufacturing industry on the rise. A third key trend that is perhaps underlying several good indicators about the manufacturing business is the continued “reshoring” of American manufacturing production. Reversing the trend of decades past of shipping production overseas in search of cheaper labor and lower production costs, reshoring is bringing production back to U.S. soil. As labor and transportation costs rise overseas, and quality issues arise, many manufacturers are looking to once again – or for the first time – make their products here. As manufacturers look for ways to increase productivity and examine the cost-benefit of investing capital, job shop software solutions factor in big to the total investment. Just one part of the investment, but a big part of automating job shop processes, ERP manufacturing software is a hedge against finding, training and affording skilled labor. It’s a way to manage your costs. A way to control your quality, and keep the work here in the U.S.